A report published yesterday by the UN Intergovernmental Panel on Climate Change (IPCC) states that that urgent and unprecedented measures are required to keep global temperature rises to below 1.5 degrees Celsius. 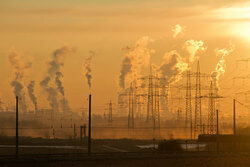 The IPCC warned that there is only twelve years for global warming to be kept to a maximum of 1.5C. Even half a degree above this will significantly worsen the risks of drought, floods, extreme heat and poverty. WindEurope CEO Giles Dickson said: “The signal the IPCC is giving is clear. We now need to see this converted into action. The EU needs to agree on a ‘zero net carbon’ target for 2050. One of the ways of doing this is to go for an ambitious electrification strategy. Europe has done quite well at getting renewables into electricity but much less well at getting them into industrial processes, buildings and transport. We’ve got to change that if we’re serious about decarbonisation. The renewables-based electrification of Europe’s industrial processes, buildings and transport would allow Europe to reduce energy-related CO2 emissions by 90% by 2050. The level of electrification of energy would rise from 24% today to 62% in 2050. Doing so is both realistic and affordable. And will help us avoid the worst effects of climate change”.